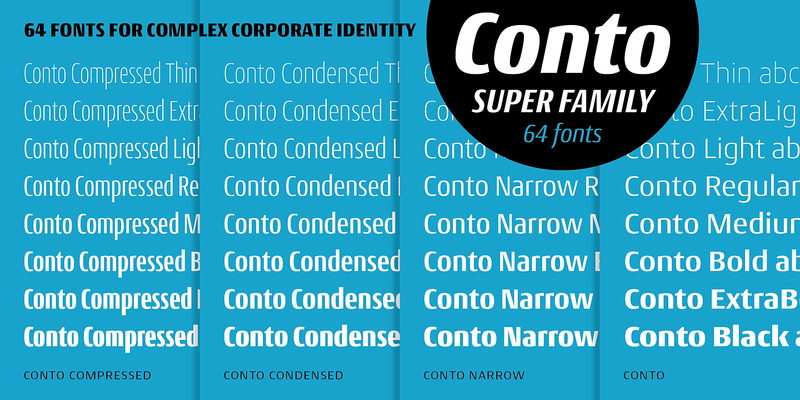 The Conto Super Family is a powerful and clear typeface for complex corporate typography. 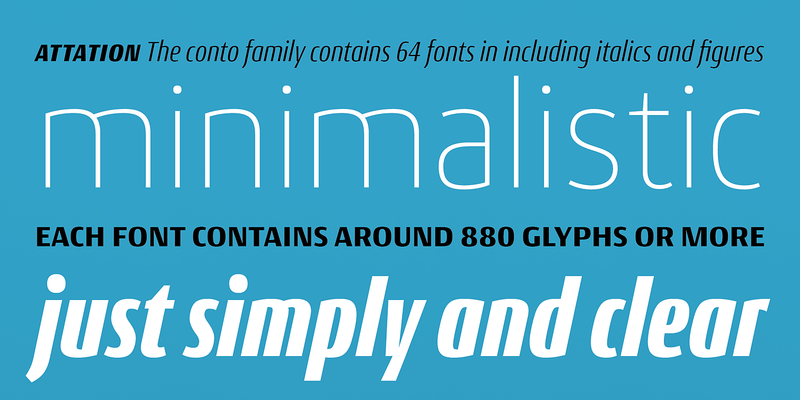 The 64 fonts gives you a wide range of flexibility to fulfill every typographical need. 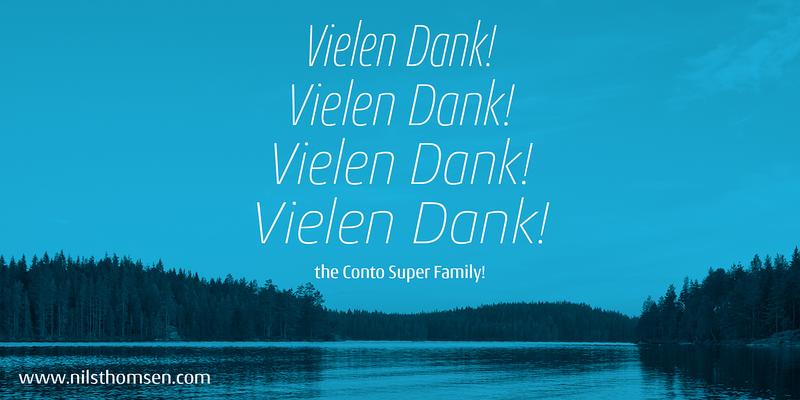 From essential reading text, captions and tables the Conto Family works also fine on large advertisement or packaging. 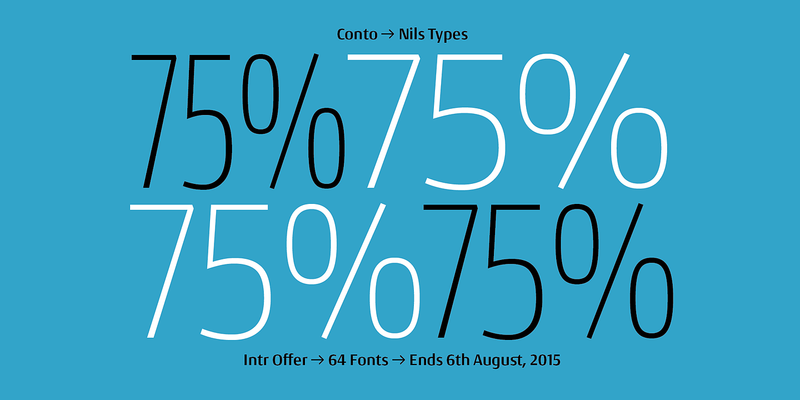 Conto is clear, serious and elegant without loosing its independence. An almost never seen before set of ligatures make the fonts useful for logos and lettering! 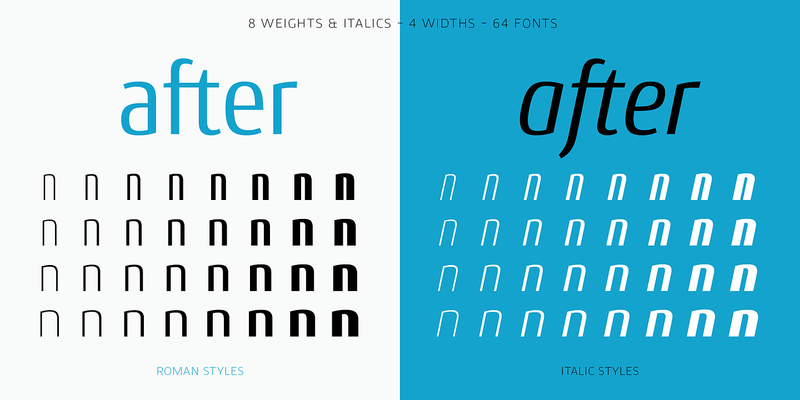 Main characteristics are the minimalistic and spurless lowercase shapes. 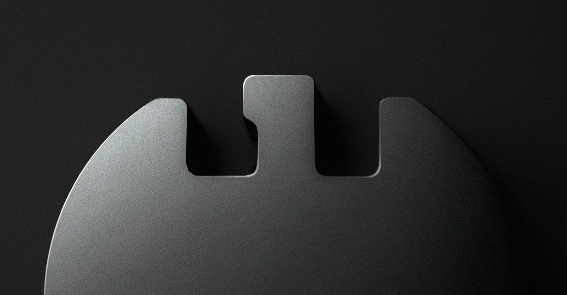 Another specific feature is the rising contrast. Whereas you cannot find any contrast in the Thin weight, you will find more and more contrast while climbing up to Black. 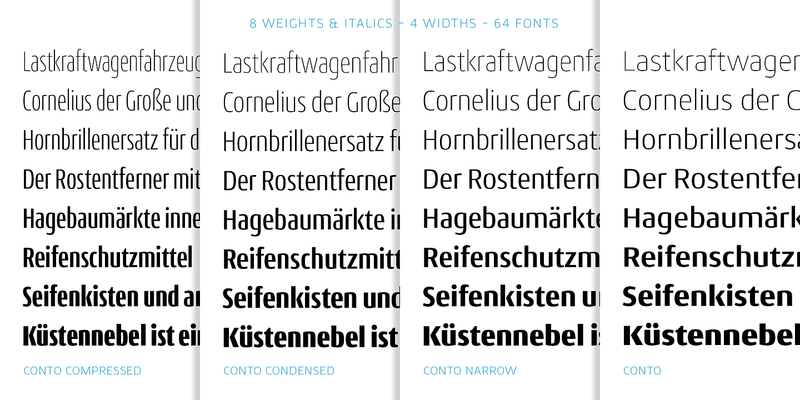 Conto’s special ligatures are made for logo-types and lettering. Therefore you find Discretionary Ligatures like ‘r_a,’ ‘e_i,’ ‘s_t_u’ or ‘r_i’ and many more!!! Try the OT-feature ss01. Maybe there is something nice for your next logo. 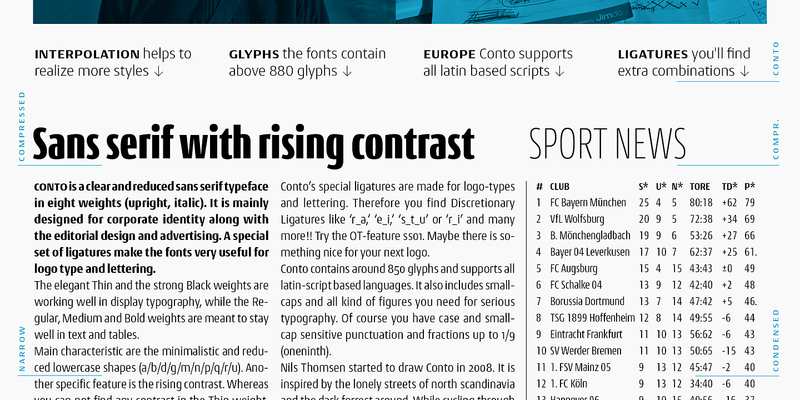 Conto contains around 880 glyphs and supports all latin-script based languages. 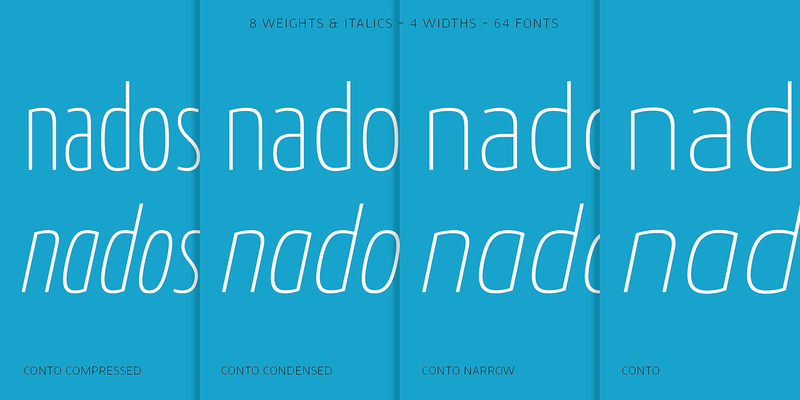 It also includes small-caps and all kind of figures you need for serious typography. Of course you have case and small-cap sensitive punctuation and fractions up to 1/9. 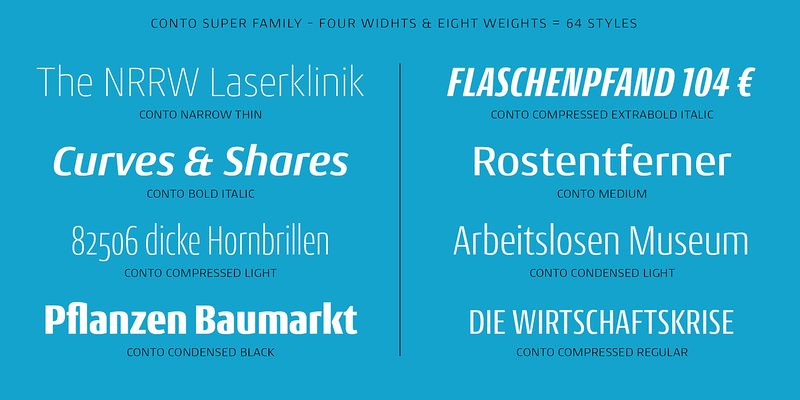 The whole Super Family is on Sale until the 6th of August. 75% off. Buy here!